Warning potential overdosing of crrrrack. Synopsis: Does Riza regret her part in the game? Each chapter is titled after a lyric in a song that was part of the soundtrack I have for this tale. Check the current music for the song. Summary -- Roy has lessons to learn. Author’s Note -- Happy holidays, 2014. Written for the fandom_stocking community. 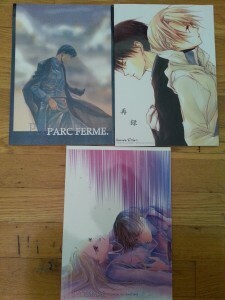 I have a few Royai (Roy x Riza) doujinshi for sale. Like-new. Please comment/message for details. Discount if you purchase more than one. Thanks! 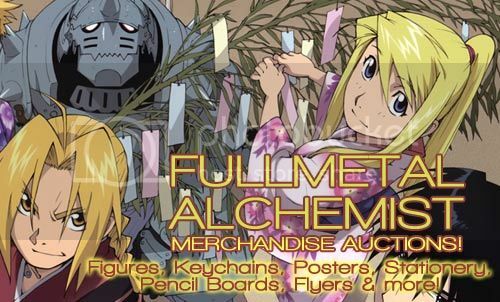 I'm selling lots of Fullmetal Alchemist goods on eBay HERE ! Multiple purchases will enjoy combined shipping at a reduced rate, so bid on more to save more!!! Summary: During Madame Christmas’s farewell party for Roy’s team, he teaches Riza how to play pool. Close to the lesson’s end, she gets distracted by him. Notes 1: For fmaweek’s prompt “Day 10: OTP” over at Tumblr. Also inspired by this Imagine your OTP prompt (though I have the ending slightly different). Thanks to sonjajade for the great betaing! Notes 2: This one takes place within my Chasing the Desert series, so at this point I have Maria Ross in Roy’s team while Falman is in Briggs. "If you're able to sink that last ball, that's it." "I think I can handle that," she said, not tearing her eyes off the pool table. While she tried to find an aim, Roy suddenly pressed himself against her from behind and she flinched. His hands gripped onto her hips and he began kissing the back of her neck. "Let's see if your concentration is up to par," he whispered hotly into her ear. "Very important in this game." "Isn't it cheating to be distracting me?" "Not if I'm still giving the lesson." Summary: Roy gets sick and Riza comes for a visit. Notes: Written for cornerofmadness for fandom_stocking. Thanks to haganeneko for the great beta! Link takes you to A03 version. It had been raining off and on in East City the past few days, yet several soldiers went to headquarters not feeling well. Content: Non-graphic mentions of death and Ishval. Summary: They had not expected the serial killer Scar to be an Ishvallan. A/N- This is for stephs86_br, who is my beta but did not receive this to beta. I just wrote this in a rush and wanted to get it out for RoyAi Day, which I did on FF.net, at least. It’s a sequel to Disappointed.